Our search assignment that we carry aren't the same however, we carry out our common processes and principles with all our search assignments. We are involved in the process from beginning to end and our services continues on for a year until our clients and candidates are completely settled in. Our services are provided globally for the industries we are experts in. Providing the best services and the right talent is crucial for us therefore we will work with the client and ask thorough questions to cover every aspects of the position, experience, skills needed, company culture and quality of the talents required. This gives us the opportunity to provide full information about the company and the job to the talent and we'd be able to answer any questions that arises from the our discussions with the talent. Our search assignments are unique and tailor made depending on the positions we work on. We analyze and devise a project plan based on the information gathered from the meeting we had with the client. We act fast and quickly as the best talents with the best skills don't come by easily. We cover every aspects of the industry on the must have skills given by the client. We do not pick talents from our existing clients hence, we only work with handful of clients to cater for their needs. We work hand in hand with the talents gathering information with their needs and requirement to ensure the position they are approached for is exactly what they want. We believe in letting the candidate choose their career path to ensure they are satisfied with the job they have chosen. This will indirectly provide with the client the right talent and the talent with the right job. We work professionally with utmost respect and integrity and with great deal of confidentiality. Our profiling are done with great detail, this would include the talents current and past job experience, salary expectation, achievements and skill sets. We would then arrangement these talents for a short meeting with the client for acquaintance and discussion on the job and it's requirements. Prior to the meeting we will prep both the client and talents on both their desires, attitude and career path. This is done to ensure both the client and talent is aware of what to expect during the Client Interview. During the selection process remuneration negotiation is done on our side for the talents. We ensure a win-win situation as we want both parties to be happy with their decision. We also help to make sure the talent manages to resign and has smooth transition with the current employer. We ensure they onboard with the client on the specified date and time as promised. Our services do not just stop there, we continuously provide latest market intelligence to the client and check to see if the talent we placed in the organization is doing well. We also work together to brainstorm and devise a project plan for future career openings withing the organizations. 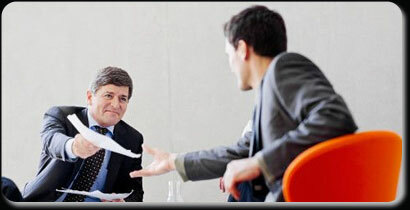 Our services to the talent also continues as we have already created a relationship during the search assignment. We ensure they are happy and reach their targeted goals.